Recently, Phil Collins, drummer for Genesis and soft rock superstar, announced that he was retiring from the rock music industry after an illustrious 40-year career. Whether this will be like Michael Jordan’s 2-3 retirement announcements has yet to be seen, though Phil Collins certainly added a “milk it for all it’s worth” touch by noting that he will not be missed and that everyone hates him. Regardless of how you feel about Phil Collins and his various contributions to the rock music canon, there are a lot of lessons for Social Media that we can glean from his career and subsequent retirement. There are seven, in fact, that came to my mind. Here they are. Collins first made a name for himself as a great drummer. He didn’t stop there, however. Instead, he honed his skills as a front man and spent another twenty years or so singing. In Social Media, you can’t place all your corporate eggs into one social network’s basket. If you are succeeding on Twitter, try to concentrate on getting your blog to the same level. This allows you to increase the number of touch points you have with customers and prospects, and provides insurance against a MySpace style flameout of your preferred venue. When Collins was the drummer for Genesis, the band was mostly “prog rock” and was considered to be pretty “out there” on the musical scale. He then evolved Genesis to be more of a mainstream act, and he ultimately went solo and found considerable success in the soft rock world. Don’t be afraid to mix it up online. Don’t feel like all of your tweets have to be serious and business-related. Don’t feel like your blog posts all have to carry the exact same tonality or subject. Show your prog and pop and soft sides. Author David Meerman Scott talks about this a lot. In the case of Phil Collins, he couldn’t control the fact that his soft rock hits were being played 27 times a minute on the radio, to the point where people grew completely tired of his biggest songs. Online, you will lose control of your company’s message. You will lose control of your content and your great intentions. That’s a given. How will you respond to those scenarios? As we found out during Collins’ retirement announcement, his hands have been too weak to hold drumsticks for years. His choice was first to become a singer, and now to leave the industry altogether. What weaknesses and challenges might you encounter when you dive into social media for business? Make sure you have ways to cope with those, because “retiring” from social media is not a viable option. The thing that really irked me about the retirement announcement was that Phil said, “I never meant to be so successful.” Not only does this appear to be a blatant lie but it also spits in the face of everyone who helped him get there. The same thing can happen online. If you find success in the online world, it’s because people helped you get there. There’s no other way to do it. If you treat your success as a curse at any point (for example, “This PR nightmare would never have happened if we hadn’t been so successful”), you are only making yourself look disingenuous and unappreciative. Bad combination. One thing at the core of success for current rock stars is that they know how to read the tides and change their music to meet what the fans want (most of the time). 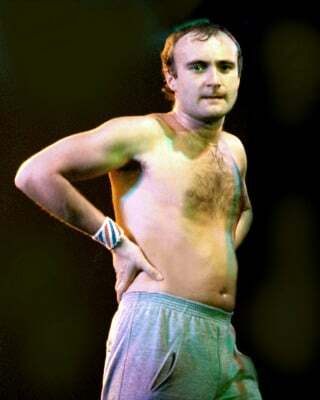 Phil Collins, for all of his complaining now about how people got tired of him, didn’t really venture too far from his core kind of music in his later years. His songs all bear a strong resemblance to each other. It’s extremely easy to fall into this trap online. If all you do is hit the retweet button on Twitter, people will block you out. If all you do is try to sell on Facebook, people will block you out. If your blog is just a series of news releases, people will block you out. Make sure you are offering a variety of content to keep people interested and to ensure them that you are a valuable and useful resource. 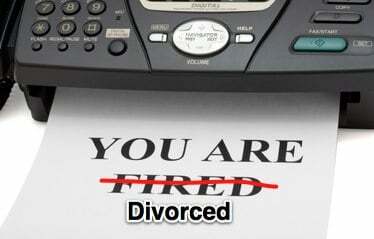 Perhaps one of the biggest blunders Phil Collins made was calling it quits with his wife via fax machine. This had nothing to do with his music career, but the news spread like wildfire. It seems safe to say that a lot of fans questioned whether they wanted to support a guy who would do something that gutless and mean. Similarly, if your company does something to anger your customers and prospects offline, you will need to deal with the repercussions online, and perhaps instantly. News and opinion are liquid, and the “online” vs. “offline” distinction is irrelevant now. What other Social Media lessons can we learn from examining Phil Collins, his career, and his retirement? I’d love to hear your thoughts!